Motorists considering buying a car may be surprised to hear they could soon be able to drive away in an Alfa Romeo for less than £9,000. The vehicle in question is an Alfa MiTo 1.4 16V Turismo and - under the government's scrappage scheme - the model will be available for £8,995. Not since Bobby McFerrin was in the charts with Don’t Worry, Be Happy back in 1989 have Alfa Romeo prices been this low, the manufacturer pointed out. Other models from the group will have up to £3,000 knocked off on top of the financial incentive being offered by the government. 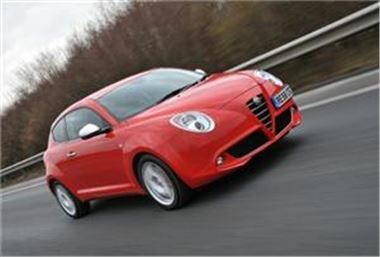 Those who opt for the Alfa MiTo will find the car comes with electric power-assisted steering, air conditioning, alarm and immobiliser, seven airbags and electrically adjustable door mirrors. In February, a report from valuation expert Cap revealed the model had knocked Mini off top spot in terms of resale prices.